View More In Iced Tea - Page 2. 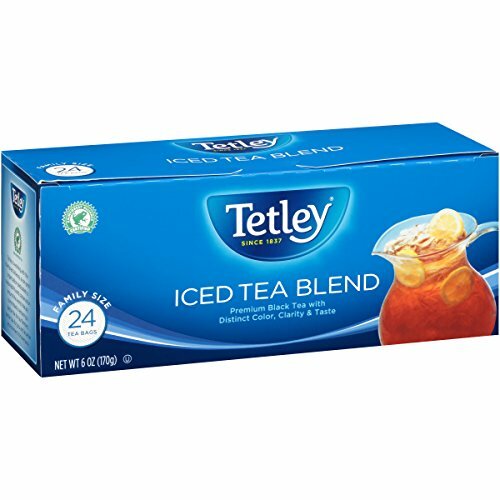 Tetley purchases millions of pounds of tea each week for our different blends of tea. These teas come from as many as 35 different countries and as many as 10,000 different estates. Tetley selects only the finest tea leaves to produce our exceptional quality blends. Tetley tea tasters, who are responsible for buying and blending our teas, taste up to 1,000 different teas per day to determine their suitability. Our team of buyers and blenders are acknowledged as one of the most expert in the world, with over 80 years of experience between them. 6 boxes of 24 tea bags each -- 144 tea bags total!